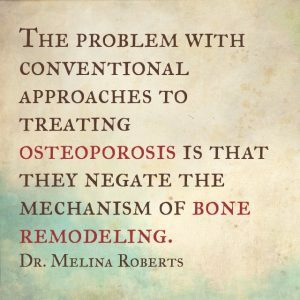 The problem with estrogen therapy and anti-osteoporosis drugs is that negates the mechanisms of bone remodelling. Estrogen can slow down the progression of osteoporosis but cannot cause new bone growth. Estrogen and anti-osteoporosis drugs inhibits the important process of breaking down old and damaged bone, preventing substandard bone from being removed by the body, allowing old bone to accumulate and take up space. The cells that build new bone cannot do their job efficiently and therefore less new bone is formed. 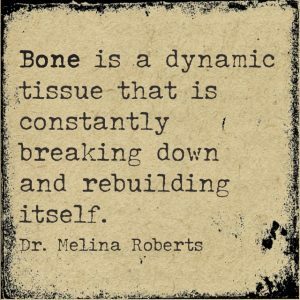 Over a prolonged period of time there is a build-up of old, brittle bone.